Before you start mapping out your vacation, take a moment to consider the insurance coverage you will need to protect your investment. RV insurance refers to policies specific to Class A, Class B, and Class C vehicles (including fifth wheel trailers). Not only is coverage required but it is important. Due to its tremendous size and weight, in the event of an accident these vacation machines are certain to cause major damage to property, people, and other automobiles on the road. 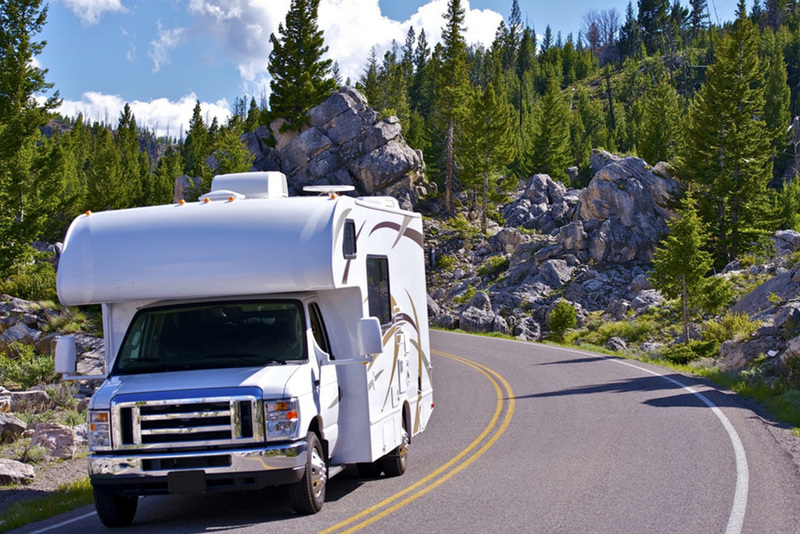 Do you have to have Recreational Vehicle Insurance? Similar to auto insurance, all states require a minimum of liability coverage. Depending on what state you live in and where you intend to drive, you may also be required to have uninsured/underinsured coverage. If you plan to live in your RV or have it stationed at a permanent camping site, you will need to ask your agent if you need to have full timer coverage or mobile home coverage. How much is RV Insurance? How much does it cost to insure a fifth wheel? The cost of a policy for Class A, B, or C vehicles is going to be determined by a number of factors based on the vehicle, you, and your coverage selections. Determinants include such things as: if the RV is financed or paid in full, if it’s customized, where you live, likelihood of exposure to inclement weather and crime, annual mileage, how often and for what purpose it will be used, if you plan to drive out of the state or country, if there are safety devises installed as well as its age and condition. Your driving history will play a role in the cost, as will your experience, what kind of license you hold, and who is listed as drivers on your policy. The area you will have some control over the cost is choosing how high or low of a deductible you want and what kind of coverage you want beyond liability. You can ask your agent if you qualify for the storage option which may allow you to reduce your premium by suspending liability and collision coverage for the months that the RV will be off the road and not in use. Ask your agent if you combine your RV and auto policies if you would qualify for a multipolicy discount and if in the event of an accident would you have to pay just one deductible for both. Do you have to have insurance on a travel trailer? How much does it cost to insure a trailer? No and yes. Travel trailers vary in purpose, cost and type and these factors will be important when considering insurance. If the trailer is towing a camper, boat, bicycle, or a horse, there is a good chance you will be detaching it in-between uses. While a trailer is attached to your vehicle, it will be covered as an extension on your auto policy. The moment the trailer is unhooked, it is no longer covered nor are the contents in or on the trailer. If lightening hits your detached trailer while your horse is sleeping inside or your detached trailer holding your boat rolls down a hill while you are out picking up worms for fishing – your investment will not be covered unless you have purchased insurance specific to your trailer. The cost is going to be determined by the physical size and weight of the trailer, how often it is going to be on the road, how much it would cost to replace it and what you will use it for. Class A Vehicle – The largest class of RVs which include luxury mobile homes, luxury or motor coach buses. Class B Vehicle – The smallest class, usually campervans, travel trailers or cargo vans without extended cab. Class C Vehicle – Standard cargo vans with a camper extending over the cab, 5th wheel vehicles and campers that are towed by a truck. 5th Wheel Trailer – Usually 20-40 feet with a raised forward area, towed by a pickup, and may overlap bed of truck. Here at Daigle & Travers Insurance, we will provide you with the right coverage to make sure your investments are safe during a disaster. When partnering with us, we will give you all the necessary information and options you need to make the best choice of insurance company and policy. For the best RV insurance Darien & Greenwich offers, give us a call today at (203)-655-6974.